I’m Sue and I’m a pin loom addict. Except I don’t consider that a problem (sure sign of addiction, right?). I’ve been pin loom weaving almost every day for over two years—ever since I bought Margaret Stump’s book and won my first Weave-It on eBay in December 2014. I’ve lost count how many Weave-Its I own now . . . maybe 50??? I have fewer than 10 Loomettes (I think). Sometimes I make YouTube videos—usually about pin loom weaving. And I’m an administrator on the Facebook Pin Loom Weaving Support Group where I’ve lead several Weave-Alongs and two pin loom square swaps (so far!). I’m working with Wunderwag Industries in developing and marketing a really cool line of pin looms. Contact Joe at wunderwag@gmail.com if you’re interested. See also my New Loom Time blog post. But my greatest joy comes from designing pattern weaves on the 4″ loom. I guess I should say that’s my greatest pin loom weaving joy. I find great joy in a number of other things as well. Since I was young I dreamed of writing and publishing children’s fiction, but that dream didn’t come true. For a time, I considered writing a book on pin loom weaving—even had a contract lined up with a publisher—but it seems professional publishing and I are not a match made in heaven. My little universe of Adventures in Pin Loom Weaving is always evolving and revolving; I can’t keep up with the things I’m learning and the patterns I’m designing every day, and can’t make myself buckle down and create a marketable manuscript (which is a mountain range of work, believe me! ), so I created this private blog. Oh, yeah, ABOUT ME—I live in Utah, though I was born and raised in California. 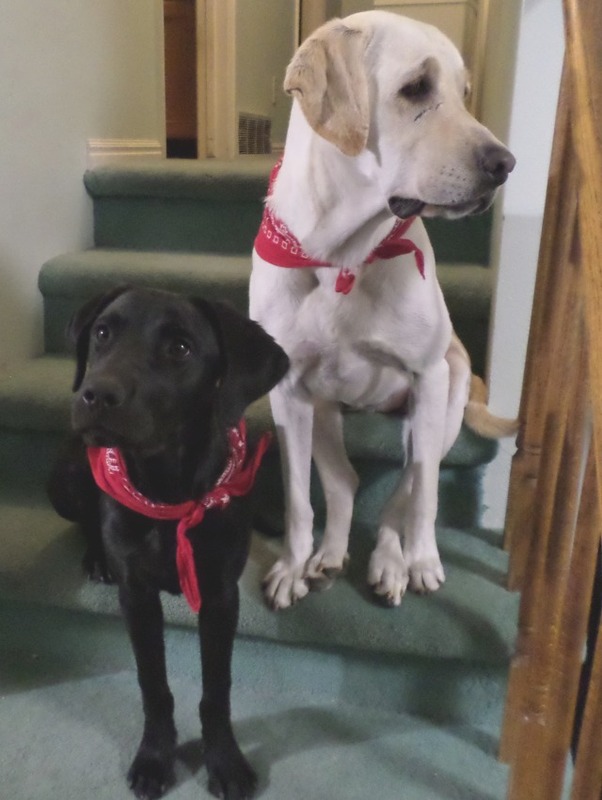 I’m married to a most amazing man and we’ve been adopted as parents by two female Labs (currently Polly and Casey) who are sources of great joy themselves. When I’m up to it, I like to hike in the mountains and forests which are very near my home. I like to read, write, dance, paint, draw, knit, weave, crochet, and watch movies—preferably as many of those things as I can manage all at the same time. I can also operate a spinning wheel and make and dye yarn, but I’ve still got a lot to learn in that area. I also write another blog, windsweptmind.com, where I first started recounting my adventures and where I plan to continue posting my thoughts on various subjects—probably including pin loom weaving. You can locate me on Facebook as Sue Burton, or feel free to send me an email message.